A bite into this sweet bread brings me back to my mother’s kitchen. It’s sweet, it’s tart and it’s really wonderful. The texture is very similar to the treat I remember as a kid. Combine dry ingredients in one bowl. In another bowl, combine wet ingredients. Combine wet and dry mixes. Prepare a 5 x 9 inch loaf pan by greasing or lining with parchment paper or your favorite method. Bake on center rack of oven for 60 -70 minutes or until done (see video). Do steps 1-4 for loaf as above. Fill each cupcake mold half to two-thirds full. Bake on center rack of oven for 25 minutes. It is very important to use fresh lemon. If you use an old lemon, don’t bother making this recipe as it will be flat and you will be unimpressed. An average medium sized lemon will yield the zest and juice necessary for this recipe. Just to be safe though, have two on hand when you start. The most important thing to know about zesting any citrus is to not zest too far into the fruit. You want to remove just the color from the outside of the fruit. The white flesh under the color is bitter, so don’t zest too deep. I use a box grater and that works well. You can find almond flour in your local grocery, but in my experience it’s pretty expensive. I buy a 25 pound box from Hughson Nut and it works out to be about $5.50 per pound delivered. Use Google and check the web. Important: Ovens vary in accuracy so for your first time baking a loaf, check it starting at 60 minutes and then every 5 or 10 minutes until it’s done. If you do this the first time, you’ll have the proper time for your oven. How to tell when a loaf is done. This looks wonderful. I wonder if this would make good muffins. Thanks. I haven’t tried yet, but I don’t see why not. Just adjust your cooking time. I plan to make this for my husband this week. He started the SCD diet a few weeks ago to help manage his crohns. He feels amazing and now has solid poops! Congratulation to him and I hope he likes it. I also hope he is keeping a diary of his food and reactions. Keep in mind that nut flours can be challenging for someone near the beginning of the diet. A negative reaction can take anywhere from less than an hour up to four days so that’s why the diary is important. If he does react badly to nut flours it doesn’t mean he can’t ever have them, just not until more healing has taken place. I’m assuming your almond flour is blanched? I get almond flour/meal at trader joe’s for closer to $4 a pound, but it has the skins. Does is make a huge difference when baking? You are correct. I’m using blanched. I haven’t used almond flour with the skins so I don’t know if it makes a difference. To me, the difference between blanched and unblanched almond flour bread is like white and wheat bread. Used unblanched almond flour if you want something more like wheat bread. Thanks for that tip. I’ve never thought to try unblanched. Going to try this-they sound great! 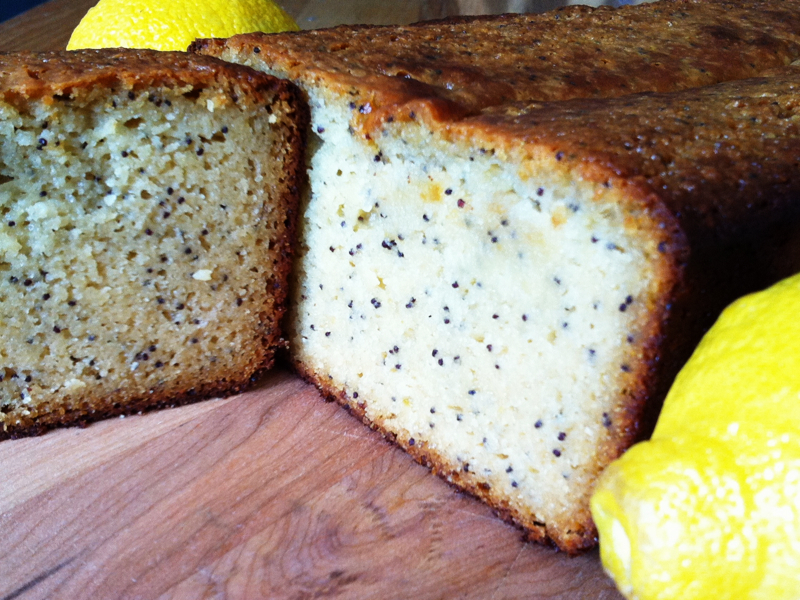 Might use Meyer lemons…they are so…lemony! My daughter has seemed to tolerate coconut flour better than almond flour…have you heard that from others? She can eat more coconut muffins when she has to limit almond flour ones to 2/day. It is so nice to be able to snack on muffins when you are tired of meat and fruit and veggies! I have heard that it’s not too uncommon for people to have a more difficult time with nut flours and butters, at least in the beginning. Nut butters are easier than nut flours and be substituted in recipes. See the tree nut section on this page at pecanbread.com for more details. I tried this recipe last night, and while it tastes good, it didn’t turn out anything like the picture above! The volume of wet ingredients far outweighed the dry, so the batter was very runny and the end product very moist and greasy. Do you have this problem, or did I perhaps mess up the ratios? Either way, it is so tasty I plan on trying it again soon! Love this site and your fantastic recipes! 1. You didn’t get the measurements right. 2. You used a thinner yoghurt than the rich yoghurt the recipe calls for. 3. You didn’t bake it long enough. My batter turns out to be pretty fluffy as the lemon juice acts on the baking soda and kicks out a lot of air. I know the batter will thicken somewhat if you let it sit for a few minutes before you put it in the pan. Perhaps your oven is far enough off that it’s creating a problem. You could get an oven thermometer for about $5 and find out. When you are testing a loaf to see if it’s done, try inserting a knife in the middle. If it’s clean when you pull it out, it’s a fair indicator that it’s done. If all that fails, try baking the batter into cupcakes instead of a loaf. You’ll have to watch the time closely as it will take less time than the loaf though. I’m glad you like the site. Thanks for letting me know. I don’t see yogurt in the list of wet ingredients! I used to have it in the recipe, but later took it out. Im very happy I stumbled across this, it inspires me to create my own blog, w/ stories and recipes of my SCD journey. Although it didn’t turn out nearly as pretty, it tasted incredible. In fact, it was so good, it was hard to not eat the entire thing in one sitting. You’re welcome and thanks for your comment. I’m glad you enjoyed this recipe. I know the first time I made it I had the same reaction – I had several slices before I could cut myself off. Why are posters and Paul referencing yogurt in this recipe? I don’t see any yogurt listed in the ingredients – was there a modification? Originally the recipe called for yoghurt. After trying the recipe without yoghurt I feel that it’s better so I altered it. I love this bread, and I make it every couple of weeks. I’ve had to tweak it a bit to get it to look like the picture and actually come out of the pan in one piece. 1. I only use a little more than 3/4 cup of honey. Otherwise it’s too sweet, and too wet to rise well, and it sticks to the pan. 2. I mix the wet ingredients with the dry and pour them in the pan immediately, but then I let the batter sit in the bread pan for 5 minutes or so before I bake it so the baking soda and the lemon juice can do their reaction/leavening thing. This helps immensely to get it to rise and not be too dense. Oh, and make sure you’re using blanched almond flour – not almond meal with the skins. Almond skins are hard to digest and they don’t absorb the liquid in the recipe as well as pure, blanched almond flour. Thanks for the input. It’s great to have more experience noted. I just tried making this and there sees to be something wrong with the proportions of wet and dry ingredients. Are you sure it’s actually 3 cups of almond flour? My mix was just crumbly and it made much to much for a loaf pan. It’s been awhile since I’ve made it, but you are the first to tell me the mix is wrong. Perhaps you mismeasured? It should be more or less like any cake batter.